“World of Warcraft: Curse of the Worgen” Comic Miniseries! The best-selling WORLD OF WARCRAFT comic series returns in time for a worldwide CATACLYSM! 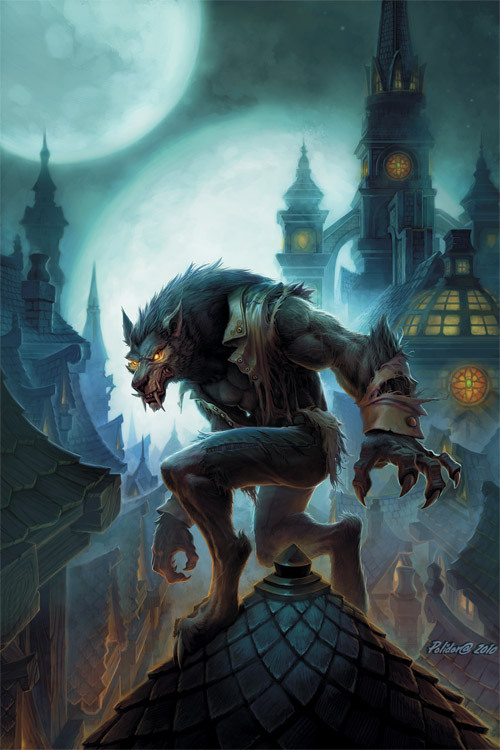 A series of grisly, animalistic murders have rocked the walled town of Gilneas. A famous detective sets out to discover the perpetrators and finds far more than he bargained for. To find the truth, he must delve through years of twisted history – both the history of his family and Gilneas itself. This pivotal 5-issue miniseries explores the in-depth lore of the Worgen! Sounds so kickass! Unfortunately, DC’s WildStorm isn’t releasing this 5-issue comic miniseries until November 17, so we have one long wait. Grrr. Good news is that World of Warcraft: Curse of the Worgen is 40 pages of beautiful colored artwork and it’s only $4.99. The werewolf-like worgen are the new playable Alliance race in the upcoming World of Warcraft expansion, Cataclysm. Players will be able to choose a class from death knight, druid, warrior, hunter, mage, priest, rogue, or warlock. Outside of combat, a worgen can appear in either their human form or their worgen form. But they immediately turn into their worgen form when entering combat or activating their Darkflight racial ability. Like I said, they are very similar to werewolves – they’re cursed humans with the ability to shapeshift into a wolf-like beast. I can’t wait to roll one.